Just back from a great day with the wedding of Claudia and Adam at Salterns Harbourside Hotel.. Wow what a day, the weather held great, I have the top of my head to prove it too! Anyway after backing up the shots from today, this shot really struck me as a great Sneak Peek. 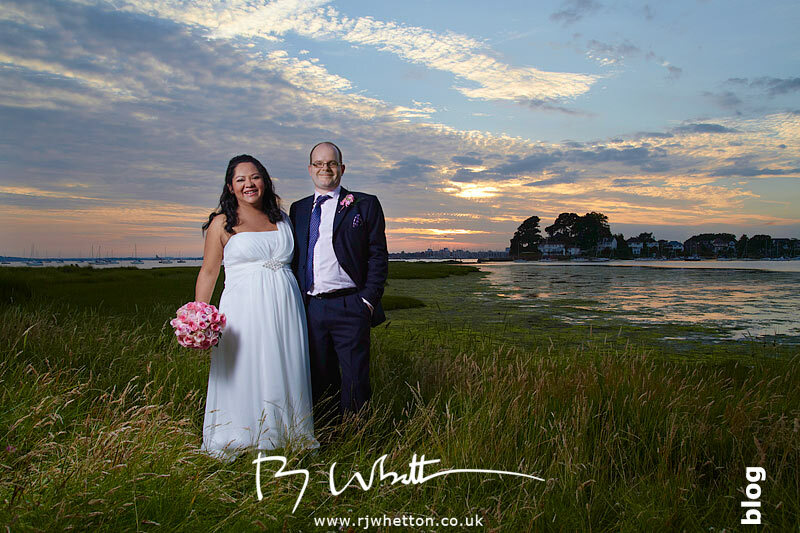 I whisked Claudia and Adam away from the crowd for a few minutes to capture the fantastic sunset we had! Congratulations Mr and Mrs Lowe!! And I realise that I haven’t blogged previous stuff too.. all that will come in time..